Held in the America Gardens Theatre, the Candlelight Processional is a beloved part of the Walt Disney World holiday season. Celebrity narrators read the biblical Christmas story backed by a 50-piece orchestra and massed choir. For the first time, performances of the Candlelight Processional begin on Thanksgiving Day, Nov. 22, 2018. 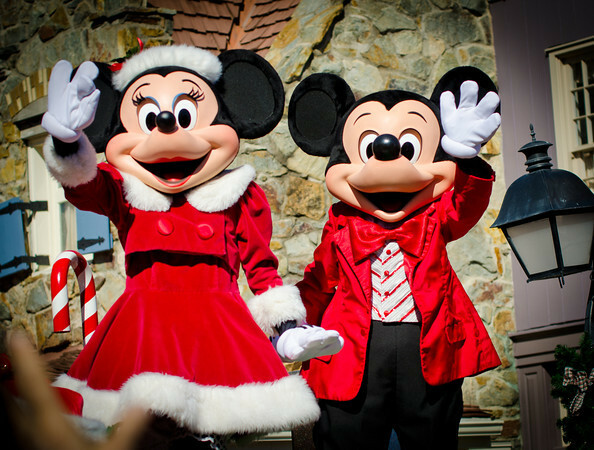 There’s still time to plan a Magical Holiday Vacation! Contact our expert travel consultants today! Need a travel expert? Click HERE! It’s Christmas in July! Today we're announcing the return of the holiday season to Walt Disney World® Resort. Starting Nov. 8, 2018, you will be able to celebrate this magical season with festive parties, captivating holiday décor, delicious treats, spectacular entertainment amazing experiences that make this season one of the most wonderful times to visit Walt Disney World! A Flurry of Fun comes back to Disney’s Hollywood Studios® with the return of Sunset Seasons Greetings. Featuring impressive new laser effects and “snow,” holiday magic transforms the famous Hollywood Tower Hotel with spectacular projections of beloved Disney Characters such as Mickey Mouse, Minnie Mouse and Olaf sharing their favorite seasonal stories. At Epcot®, you will discover joyous holiday traditions of 11 World Showcase nations during Epcot International Festival of the Holidays beginning Nov. 18, 2018. One of our favorite holiday traditions at Epcot is the Candlelight Processional and this year it starts performances on Nov. 22, 2018. 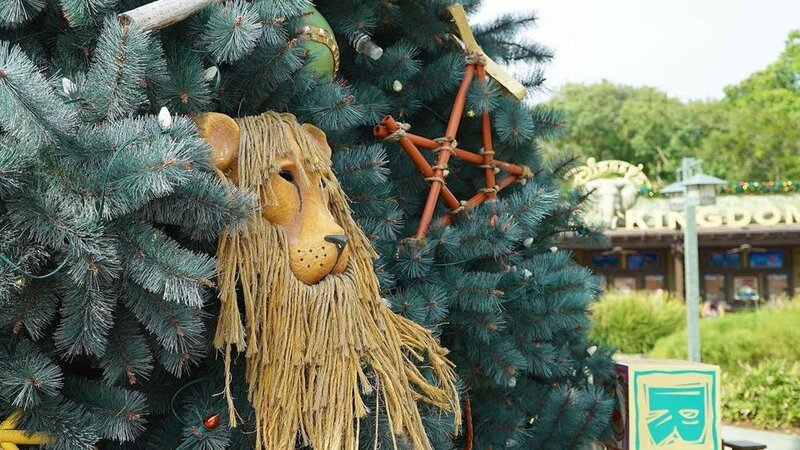 New this year at Disney’s Animal Kingdom® Theme Park, the magic of nature will receive a holiday touch with the inclusion of Diwali, the holiday Festival of Lights in India, as part of the new live show UP! A Great Bird Adventure. Now is the time to play big and contact your Upon A Star Agent to start planning your memorable vacation! We’re happy to share that the 2018 Epcot® International Festival of the Holidays will return to the park Nov. 18-Dec. 30, 2018. The Candlelight Processional also returns this year and for the first time, the popular holiday tradition will open for Thanksgiving on Nov. 22-Dec. 30, 2018. Stay tuned for info on the narrators and dining packages! 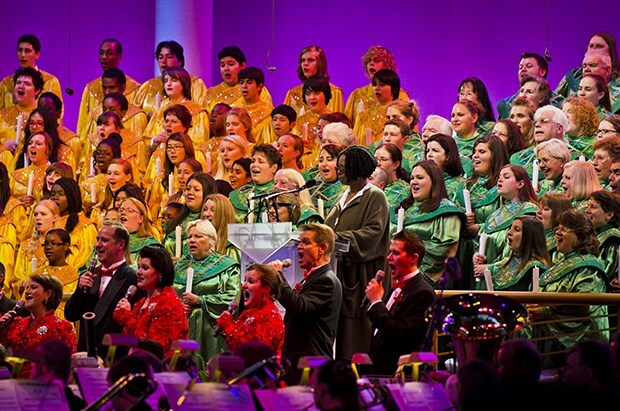 Candlelight Processional at Epcot®: List of Narrators Announced! We love the Candlelight Processional at Epcot®! This year some new faces will be added to the list of narrators! Check it out! New to this year’s lineup include Matt Bomer (“White Collar,” “The Last Tycoon,”) and Star Wars fan favorite Warwick Davis, who played Wicket the Ewok in “Star Wars Episode VI: Return of the Jedi.” Also, new to the event is television Legend Pat Sajak and TV star CCH Pounder, who was recently at Disney’s Animal Kingdom® Theme Park for the grand opening of Pandora – The World of Avatar. Take a look at the schedule of narrators that have been conformed so far! The processional is performed three times per night (5 p.m., 6:45 p.m. and 8:15 p.m.) during the holiday season at the America Gardens Theatre. Packages for this festive event are available on select nights, they include a delicious meal and a guaranteed seat for one of the Candlelight Processional performances. Availability is limited. Akershus Royal Banquet Hall and The Garden Grill will have breakfast, lunch and dinner options again as well as Captain’s Grille at Disney’s Yacht Club Resort,** with breakfast and dinner options being offered at Trattoria Al Forno at Disney’s BoardWalk. Candlelight Dining Packages for breakfast start at $35 plus tax per person for adults and $21 plus tax per person for children, ages 3-9. Candlelight Dining Packages for lunch and dinner start at $44 plus tax per person for adults and $15.50 plus tax per person for children, ages 3-9. Epcot admission is required and not included in the dining packages. The Candlelight Processional celebrates time honored traditions and Epcot comes alive through the sights and sounds of the countries of World Showcase, and live performances enliven the park throughout the day. Contact your Upon A Star agent today to book a Candlelight dining package today! Let us help you make magical memories! !